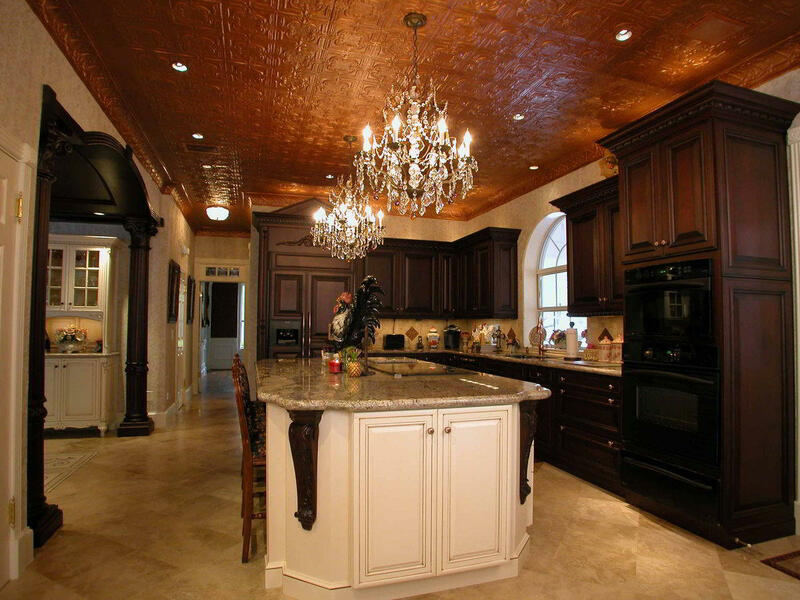 Custom Kitchen Cabinet Designs in Houston TX Four solid cherry columns and two custom furniture pieces welcome you into this gorgeous kitchen in Bay Oaks. 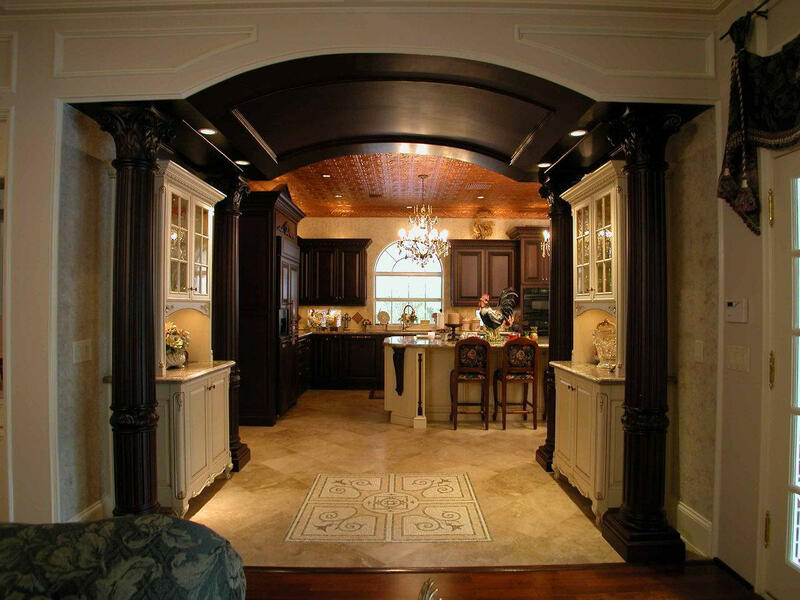 Kitchen Island and Cherry Cabinets The glazed white island features dark cherry corbels to coordinate with the other kitchen cabinets. 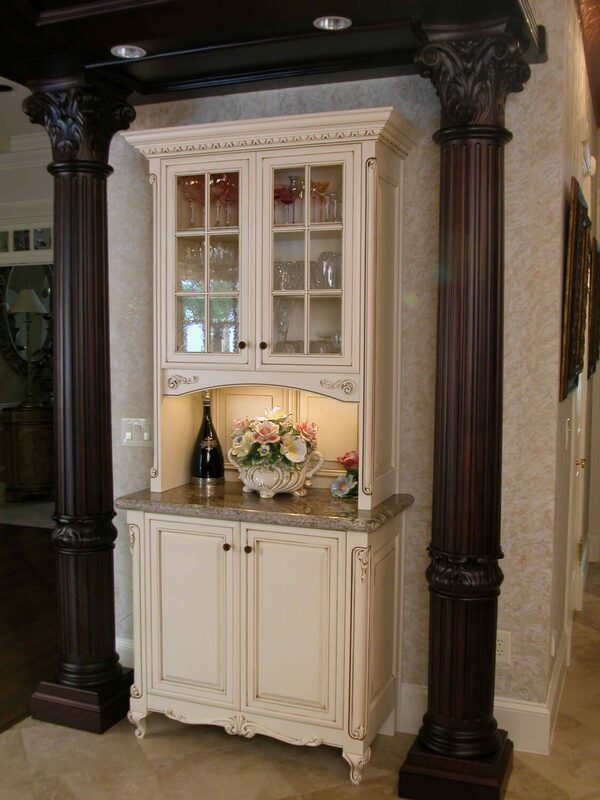 Another shot of two of the four solid cherry columns flanking custom furniture pieces by Wood-Mode. 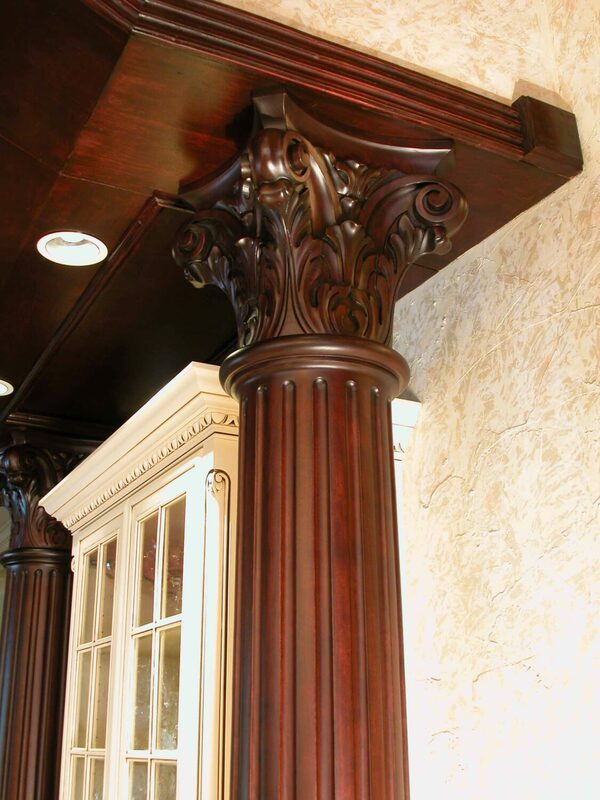 Close-up of two of the four solid cherry columns flanking custom furniture pieces by Wood-Mode. 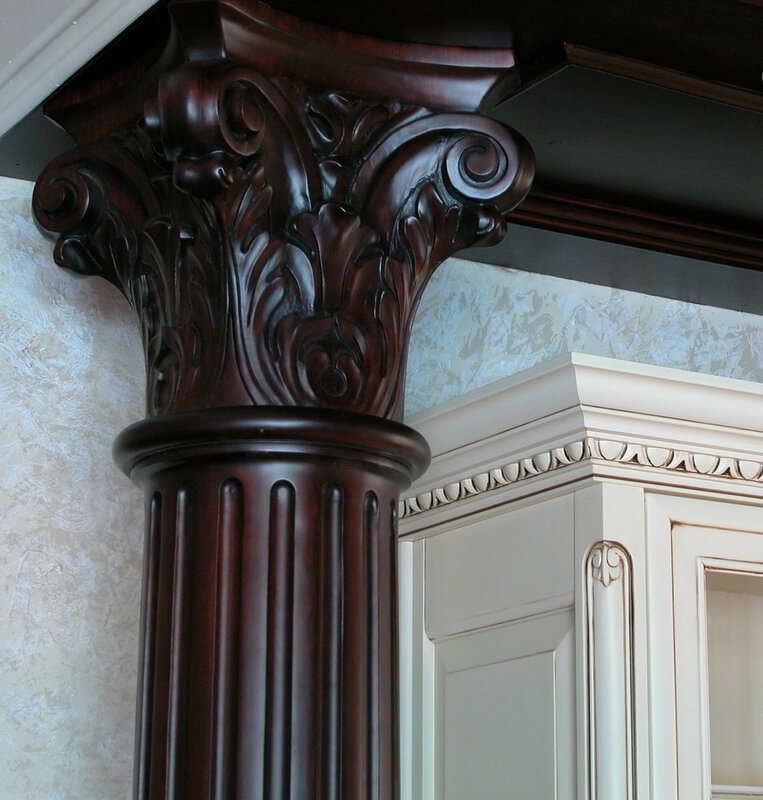 Close-up of the solid cherry carved capitals atop the solid cherry columns, and a better view of the crown molding with egg & dart details, also by Wood-Mode. 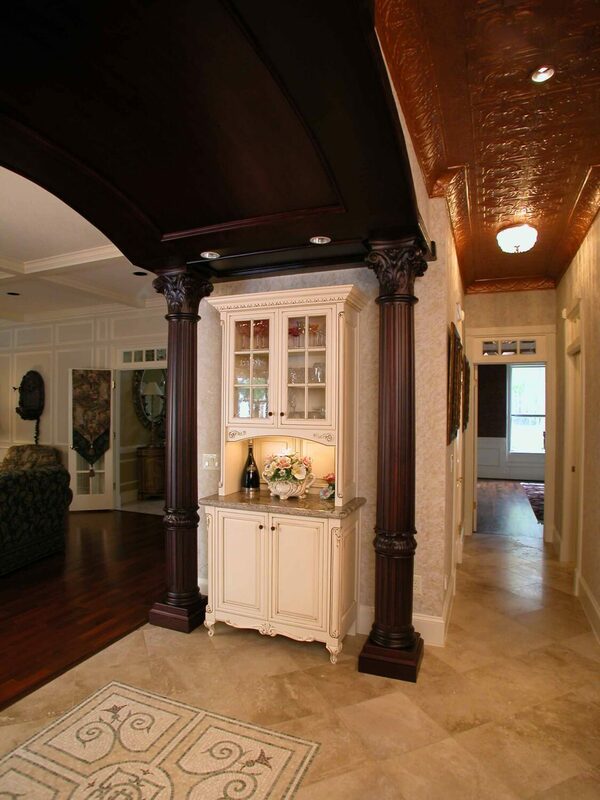 A custom solid cherry pediment sits atop the integrated refrigerator enclosure, and a heavy crown molding with egg & dart moldings below, along with carvings and split posts, all by Wood-Mode.